Remember the children’s fairy tale Cinderella? While her sisters went to all the elegant balls and fancy parties, Cinderella stayed home and was left out of all the fun and revelry. Well, the Mercury Cougar was a lot like Cinderella. While its Mustang and Cyclone siblings were out having a grand time cruising the streets and racing at the drag strip, the Cougar was left behind. And just like Cinderella was changed into something beautiful by the fairy princess, Mercury waved its magic wand and transformed the Cougar into a formidable street warrior called the Eliminator. 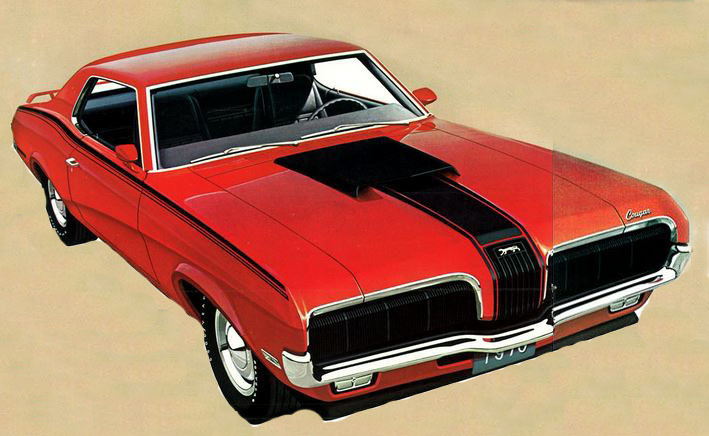 In this edition of Muscle Car Milestones, we’ll take a look at the 1969–1970 Mercury Cougar Eliminator. In 1969, Mercury finally gave this cat some claws with the Eliminator package. Now the Cougar had what it needed to hunt down street prey such as goats, road runners, and impalas. No longer overshadowed by its Mustang stable mate, the Cougar finally stepped into the limelight and made a name for itself. 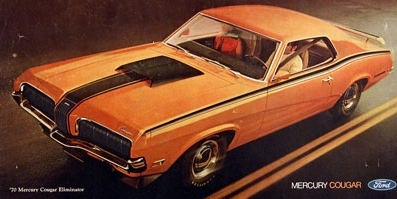 Mercury unleashed the Cougar Eliminator concept at Los Angeles Auto Show in October 1968. Production of the street version began in the spring of 1969. The production car looked pretty similar to the concept with the exception of wheels and rear spoiler. Since its introduction, the Cougar was marketed as a luxury coupe with ads depicting it as elegant and sophisticated. The Eliminator changed all that and showed the world that this cat actually had some teeth. Walk around the 1969 Cougar Eliminator and you can see what sets it apart from the base and XR-7 versions. Facing the tomcat, one of the first things you notice is the body-colored hood scoop. It’s functional if you were one of the few that ordered the Ram Air 428 engine. A matte black grille with horizontal grille bars and popup headlamp covers adorn the front of the car. Another nice touch is the black spoiler mounted underneath the front valance. Glancing at the side of the car and one of the first things you notice are the side stripes with “Eliminator” graphics. These were available in black or white and ran from the front fender to the front of the rear quarter panel. Bright curb molding with a thin black line graces the rocker panels. From the rear, the body-colored adjustable rear spoiler grabs your attention just like it grabs the air. Bright chrome bumpers, mounted flush to the front and rear, add a little brightwork and flair to the appearance of this mean cat. For 1969, the Eliminator was available in Competition Orange, Bright Blue, Yellow, and White. Climb inside the interior and take a seat in the Hi-back buckets crafted in Comfort-Weave vinyl. They come in black, white, or blue. From here, you can see that Mercury built the Eliminator with performance in mind. Features such as full instrumentation including tachometer and elapsed-time clock, rim-blow steering wheel, and floor shifter come standard. A black crackle dashboard, custom door trim, and rear seat armrests round out additional standard features. 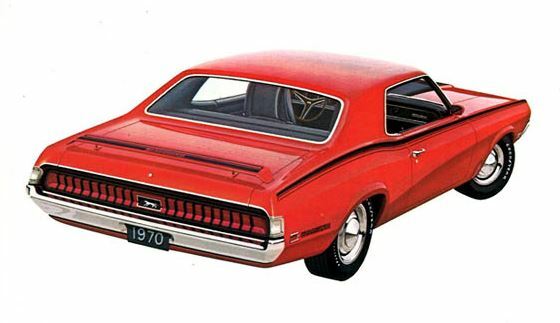 For the 1970 model year, Mercury gave the Cougar a makeover. Up front, the tomcat sported a new “electric shaver” style grille with center hood extension. Other goodies such as new graphics on the hood and body, blacked-out tail lamps, and more color choices rounded out the changes on the 1970 model. Mercury outfitted the Cougar Eliminator with a wide variety of V8 engines choices ranging from mild to wild. 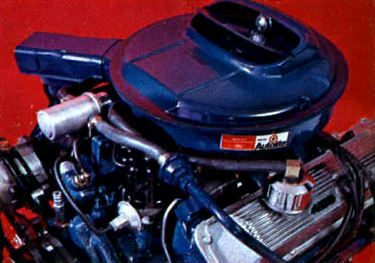 The base engine for 1969 was a 351 Windsor good for 290 horsepower. For a little more oomph, drivers could order the S-code 390 spitting out 320 horsepower. For those who were really serious about performance, a 428 Cobra Jet packing 335 horsepower was the engine of choice. It should also be noted that the Boss 302 was made available late in the model year. Engine choices for 1970 were essentially the same except for the deletion of the 390 from the options list. Transmission choices were dependent on the engine ordered by the buyer. Boss 302 equipped cars only got a four-speed manual. Drivers who chose the 351 or 390 engines could choose either a three-speed or four-speed manual or select the Select-Shift automatic. 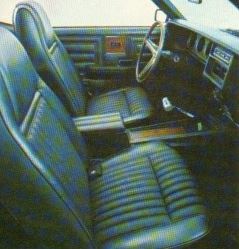 If you snatched up an Eliminator with the 428 engine, you received either a four-speed manual or Select-Shift automatic. Ford equipped the Eliminator with a heavy duty suspension system. The independent front suspension consisted of upper and lower control arms, anti-roll bar, and coil springs with the rear setup getting a semi-elliptic leaf spring system. The Eliminator’s braking system consisted of hydraulic drums on all four wheels. However, if you wanted a little extra stopping power, two-piece front discs were also available as optional equipment. Standard wheels on the Eliminator were 14 x 6 argent 12-slot steelies with “dog dish” style hubcaps and bright trim rings. F70 x 14 belted traction tires also came standard. 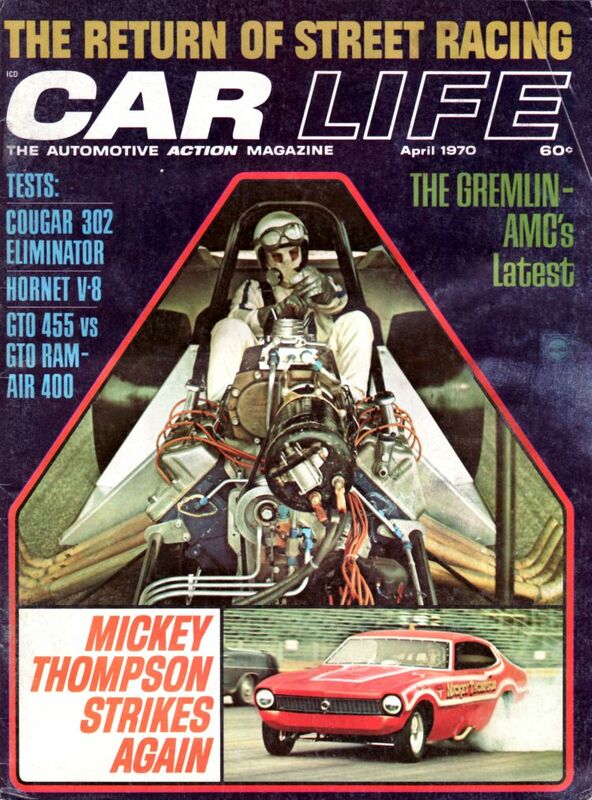 For their April 1970 issue, Car Life tested the 1970 Cougar Eliminator. Their test car was equipped with the Boss 302 engine, four-speed manual transmission, and Super Drag Pak. They were able to get the cat to run from 0–60 in 7.6 seconds and pace the quarter mile in 15.8 seconds running 90 mph. So, how does this feline compare with the competition’s pony cars? Car Life also tested a 1969 Chevrolet Camaro Z28 for their August 1969 issue. From 0–60, the bowtie went the distance in 7.4 seconds and ran the quarter in 15.12 seconds reaching a speed of 94.8 mph. A recent search of auction and classified sites shows prices for a Cougar Eliminator can vary greatly. Prices range from $23,000 for a 1969 model power by the 351 V8 to $88,900 for a 1970 Boss 302 equipped car in great condition. If you’re thinking about buying a muscle car that is not seen every day, keep in mind that the Cougar Eliminator is a somewhat rare car. Only 2,411 were produced in 1969 and 2,200 were created for 1970. Watch out for clones as parts are available to convert a base Cougar into something that resembles an Eliminator. Just as quickly as the Eliminator pounced on the scene, it was gone. After a two year production run, Mercury pulled the plug on the Cougar Eliminator. Seems this rare cat did not have nine lives but its legacy still lives on today. One thing’s for sure. This rare cat still grabs attention when it’s seen prowling the streets looking for prey. Nice article about the Cougar Eliminator! I just wanted to point out that your production numbers are not quite right. In 1969 there were 2,250 Eliminators built, and in 1970 there were 2,267 built. If you are shopping for an Eliminator be sure to do your research! These cars are easily and often cloned. Visit the Eliminator Registry website (http://eliminator.mercurycougarregistry.com/) for details about these cars, including how to avoid clones. If you are considering a purchase, be sure to ask for a Marti Report for the vehicle, available from MartiAuto.com, or order it yourself for only $15. This is the easiest way to verify that a particular Cougar left the factory with the Eliminator option, plus it shows all the other options that the car was originally equipped with. Also, drop by the ClassicCougarCommunity.com forum and check out the marketplace section ~ especially the “Eliminators on the Market” thread, which is updated regularly and reposted monthly with Eliminators that are currently for sale.